Hardy and fast-breeding mosquitoes every summer, annoying people, not only on a country trip or in the country, but in the usual city apartment. Blame the wettest place in parks or squares, wet basement. 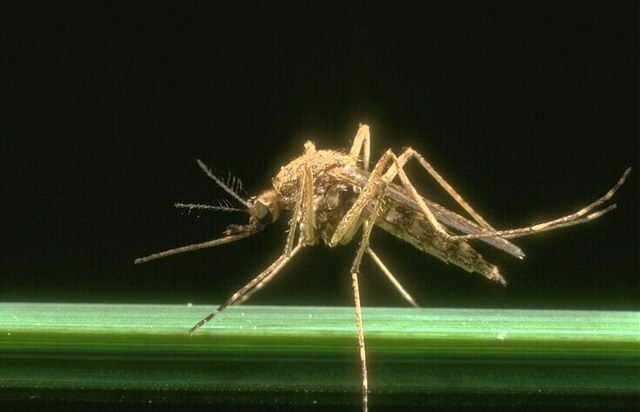 To protect yourself from mosquito bites, use of proven popular recipes. In ancient times people used a decoction of the roots of couch grass to repel not only mosquitoes, but other biting insects. Take the root of this weed, rinse under running water to get rid of the earth. Then chop the root and fill it one and a half liters of boiling water, put on fire and boil. In the end, you should get the broth light yellow color. Rinse their hands and wash your face. No mosquito will not dare to get closer to you. To deterrent means also includes tobacco smoke, the smell of Valerian and smoke from fir or pine cones, dried pine needles of juniper. To save even a large room from mosquitoes by using camphor, evaporated above the burner. Before you go for the outdoors, prepare a decoction of repellent against mosquitoes. To do this, five grams of cloves pour a Cup of water and boil in a water bath for fifteen minutes. Mix ten drops of clove broth with a tablespoon of Cologne, RUB cooked medium exposed areas of the body. Can a couple of hours walking through the woods quietly, gnats and mosquitoes will fly around the party. If you live on the first floor, sit under the Windows elder. Fresh branches of the plant bring in the room, the elder repels mosquitoes. These blood-sucking insects also hate the smell of tomato leaves and foliage. Repels blood sucking insects, the smell of eucalyptus, Basil, clove and anise. Any of the listed essential oils can be used for protection against mosquitoes. For this you need to grease open sites of a skin. To deter mosquitoes in the room, soak essential oil a cotton swab and put it on the windowsill. If you are outdoors, you can add a few drops of oil into the fire. Tea tree oil perfectly removes swelling and itching after bites of these bloodsucking insects. If you run out liquid fumigator, no need to run to the store for a new purchase. Unscrew the empty bottle and fill it with the eucalyptus extract, insert and turn back on the fumigator. Mosquitoes hurry to retreat from your home. Mosquito bites cause severe itching, to get rid of by using traditional methods. To do this, dissolve half a teaspoon of baking soda in a glass of water and wipe with the prepared solution of bites. You can use a weak solution of potassium permanganate or ammonia, diluted in half with water. Relieves itching from the bites of bloodsucking insects slightly mashed plantain leaves, mint, cherry or parsley, is applied to attack the mosquitoes.